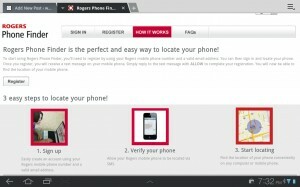 Were not sure how long this jem has been available but today we discovered that rogers actually has a service available to all customers who have lost their phone to potentially locate it. Its a free service that only requires a signup consisting of inputting your cell number, email and allowing rogers to track you wherever you are.They send a confirmation text message to make sure that you are registering your phone and not someone elses. With the service you get 5 free location checks a month and each check after that bills $.20 to your rogers bill. We quickly tried out the service and within a minute or two it had actually got our phones location accurate to 1000 meters. It wasnt 100% dead on but we didnt have gps on our phone turned on and only tried once. 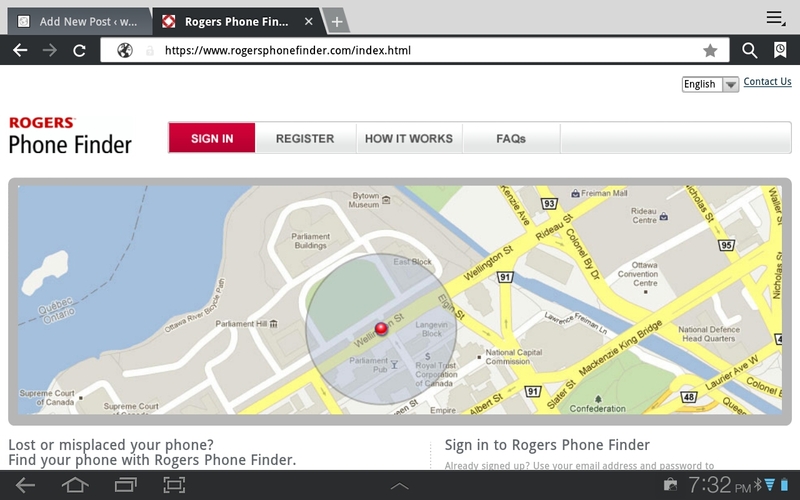 This has the potential to be a really cool thing for Rogers customers and were not sure why it hasnt been promoted more! But for anyone whos ever lost their phone before I’d say sign up for this service since its free and you might be able to get your phone back if its lost or stolen!!! Check it out for yourself at www.rogersphonefinder.com! !